iWatermark Pro 2.0.19 – Easily add watermarks to art, photos, and more. iWatermark Pro – The Essential watermarking app for professionals, business and personal use. iWatermark, is the No. 1 and only watermarking tool available for all 4 platforms iPhone/iPad, Mac, Android and Windows. 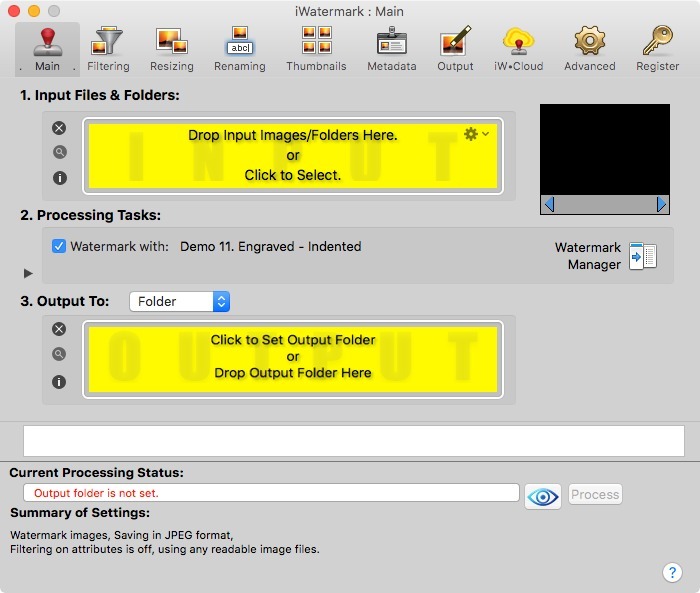 iWatermark is the most popular professional watermarking tool for photos. Add, remove and edit metadata (EXIF, GPS and XMP). Next story FonePaw iOS Transfer 2.4.0 – Transfer music, photos, contacts, messages, books, and more from iDevices. Previous story Battery Health 6.0 – Monitor Battery Stats and Usage. Vectoraster 7.0.6 – Creating vector-based raster patterns from bitmap images. Acorn 5.0.1 – Bitmap image editor. Luminar 3.0.0 – Powerful, adaptive, configurable image editing.